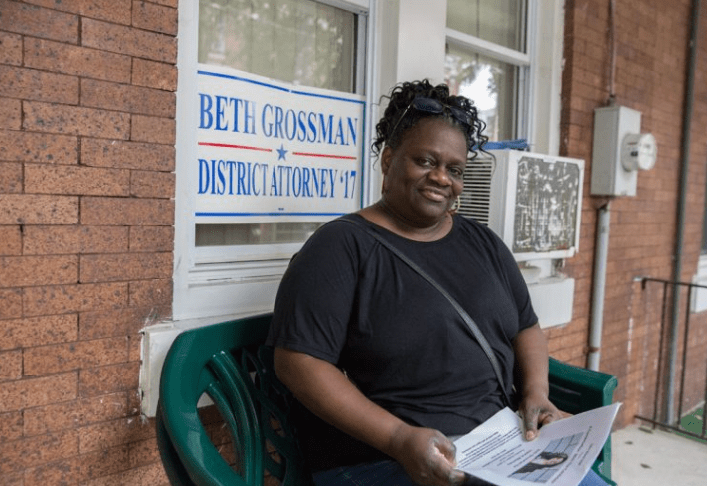 Daphne Goggins Keeps Endorsement — The strange vote tonight (Feb. 18) on whether to rescind the Philadelphia Republican Party’s endorsement of Daphne Goggins for mayor granted five days ago overwhelmingly went in favor of the North Philadelphia ward leader. We were told the tally was 29 -17 to retain the endorsement. We were also told that the party leadership is still plotting to replace her. Please don’t be that stupid. Black Friday Name Origin Joseph P. Barrett originally was published Nov. 25, 2015. The men responsible for naming the day, Joe Barrett and Nate Kleger were co-workers and friends of William Lawrence Sr. who provides us with our Omnibits and Cryptowits. Joseph P. Barrett, the man who gave us “Black Friday”. Black Friday, in reference to the day after Thanksgiving, was first used in a 1951 article in the trade publication Factory Management and Maintenance” and concerned the habit of employees calling in sick the day after the holiday to get a four-day weekend. The article by M. J. Murphy recommended just making the day a paid holiday. However, the term’s use as a day of shopping chaos has a Philadelphia root, the popularization of which can be squarely placed on the shoulders of Joseph P. Barrett and Nathan Kleger, who were police reporters with the Philadelphia Evening Bulletin. Philadelphia traffic squad cops had been using the phrase to describe the massive Center City traffic jams that occurred the day after Thanksgiving. Kleger and Barrett wrote a front-page piece circa 1960 in which they appropriated the phrase. The paper in ensuing years continued with the phrase and local TV soon joined. Philadelphia was the world’s 10th largest city in 1900. Not the best place for business. Dave Magrogan Flees Philly Over Regs, Taxes — Noted restaurateur Dave Magrogan is saying farewell Philly with the closing of his last restaurant in the city, Harvest Seasonal Grill & Wine Bar at 40th and Walnut Streets. He cites paid sick leave, city wage tax, the soda tax, and other city regulations. He says he is going to stick to the suburbs. And Florida, where he open an establishment in Delray Beach around New Year’s. Only two types let Democrats take control of government — masochists and fools. OK, three types. There are also soulless liars out to get rich and who know how to take advantage of masochists and fools. Delco Sanctuary City Trump Says — Sorry John McBlain, but it looks like the Center for Immigration Studies is right after all. President Trump included Delaware County, Pa. on its list of sanctuary cities released yesterday, March 20. The list comes from U.S. Immigration and Customs Enforcement (ICE). Section II covers jurisdictions with recorded declined detainers between Jan. 28 and Feb. 3. Section III is a table of jurisdictions that have enacted policies that limit cooperation with ICE. Delco is in Section III as being a jurisdiction that “will not hold individuals solely based on an ICE detainer.” However,”arrangements may be made for ‘in person’ review of the policy”. This has been the policy since August 2014 says ICE. Chesco is in Section III as “will not hold individuals solely based on an ICE detainer” but “will allow ICE agents access to the daily populations reports and other records for investigative purposes”. This has been policy since May 2014. Bucks is in Section III as “will not hold individuals solely based on an ICE detainer but will notify ICE via email of a pending release from custody.” This has been policy since April 2014. Section II lists Chester County as declining a detainer on Feb. 3 for an El Salvadorian sought for a probation violation; and Philadelphia as declining detainers on Feb. 1 for a Jamaican wanted for homicide and on Feb. 3 for a Dominican wanted for selling heroin. Seth Williams Third Term Dream Ends — Philly D.A. Seth Williams announced this morning (Feb. 10) that he won’t seek a third term. The Philadelphia Board of Ethics, last month, fined him $62,000 — its largest fine ever — for violations, including failing to disclose gifts and income, and accepting gifts from prohibited sources. Williams cited the action as the reason for making this his last term. “I have made regrettable mistakes in my personal life and personal financial life that cast an unnecessary shadow,” he said. Williams, who is the city’s first black District Attorney, was known for his willingness to ignore Democrat taboos. He brought down long-protected serial killer abortionist Kermit Gosnell and he refused to let Pennsylvania’s dirty Attorney General Kathleen Kane cry racism to escape her wrongdoing. We suspect that if Williams played ball with Democrat limousine liberals he’d still have his career. Ed Rendell was never stopped, after all. You might think the Republicans would snag Williams off the waiver wire and give him a shot at a comeback but don’t expect that. The Republican leadership shares the same clubhouse with the Democrat limo libs. Chaka Fattah Gets 10 Year Sentence — Former Congressman Chaka Fattah was bestowed with a 10-year sentence for corrupt hackdom a.k.a traditional Pennsylvania politics. Fattah, a Democrat, represented from 1995 until June 23 Pennsylvania’s 2nd District. This consists of large swaths of Philly along with Lower Merion in Montco. U.S. District Judge Harvey Bartle III called Fattah actions “astonishing” which frankly deserves an LOL. Still, the sentence he passed might be the longest ever imposed on a member of Congress for federal corruption crimes so kudos for being astonished. Fattah got a $174,000 congressional salary and associated perks, along with his bribes. Sentenced with Fattah was Herbert Vederman, who got two-years for offering bribes. 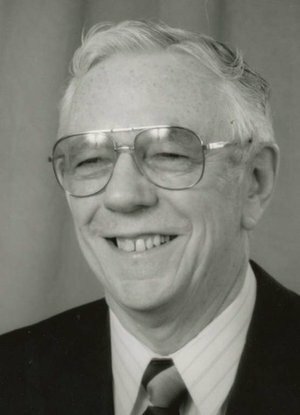 Vederman was a senior consultant at Stradley Ronon Stevens & Young, a Philadelphia law firm. Josh Shapiro (Democrat), the political boss of Montgomery County and Pennsylvania’s next attorney general, is counsel at Stradley Ronon. Val DiGiorgio (Republican), the political boss of Chester County and among the leading candidates for chairman of the state Republican Party, runs Stradley Ronon’s banking and public finance sections. He includes Government and Public Affairs as part of his “focus”. No matter how many 10-year sentences our hacks get, Pennsylvania will never be clean until places like Stradley Ronon are sent to the dustbin. Uber Banned Again Now That Dems Are Gone — An agreement reached, July 7, between the Philadelphia Parking Authority, which oversees limos and taxis in the city, and transportation network companies such as Uber and Lyft, ends tomorrow, Sept. 30, once again making the popular services illegal in the city. Note that they will only be illegal in Philly. Everywhere else in the state they are fine. The agreement was made to facilitate transportation matters during the Democratic National Convention, July 25-28. And this leads one to the obvious question: If it made things better then why won’t it make things better after tomorrow? The answer one fears is that it doesn’t make things better for the small-time cronies who rule Philadelphia but these small-time cronies had to defer to the big-time cronies back in July. The Democratic Party is a criminal organization. The world would be better if it died.